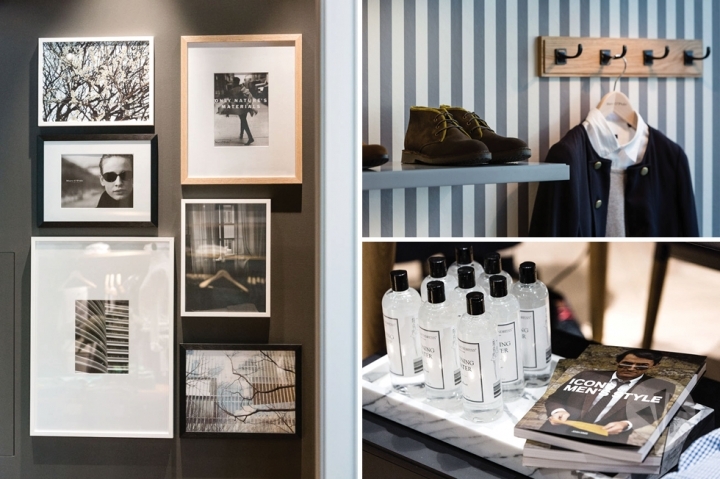 The new, dan pearlman-conceived ‘Nordic lifestyle’ retail concept already graces eighty-four total Marc O’Polo stores and flagship stores throughout Germany. 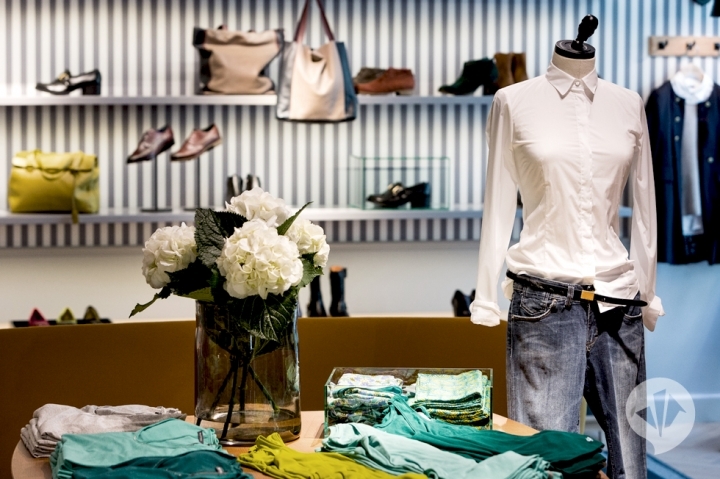 Even within this context, the flagship store on Ku’damm in Berlin, which opened on June 27, 2013, represents a special milestone. 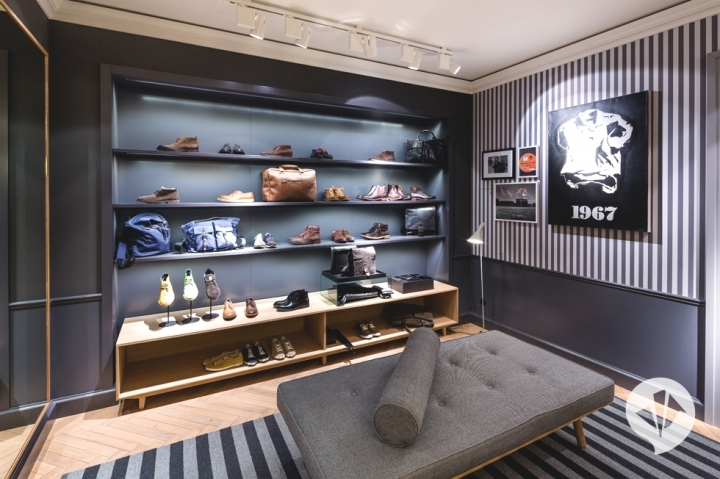 The classic flat in Nordic style is a shopping experience that also stands for social and environmental sustainability. 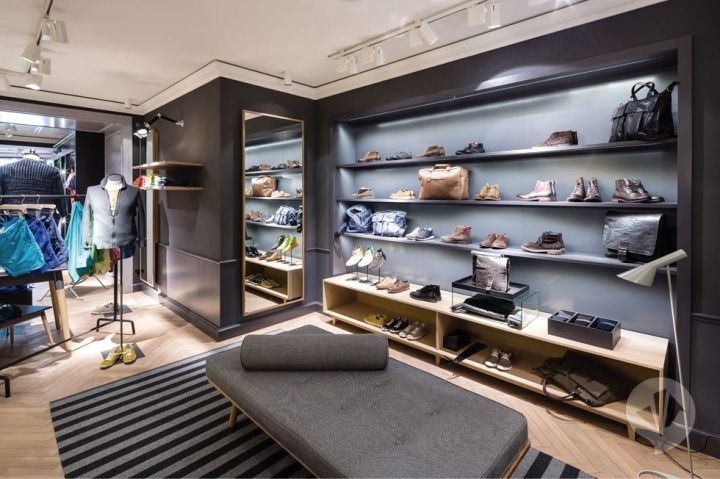 The dan pearlman team faced both the special challenge of implementing the new retail store’s overall concept and features within a 600-sq. metre space, as well as satisfying the various criteria developed by the German Sustainability Council in order to receive certification. 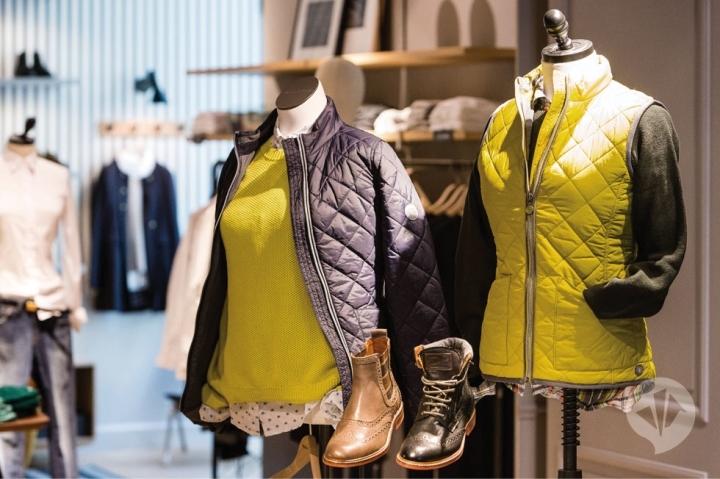 The pilot project is a first in the retail realm. 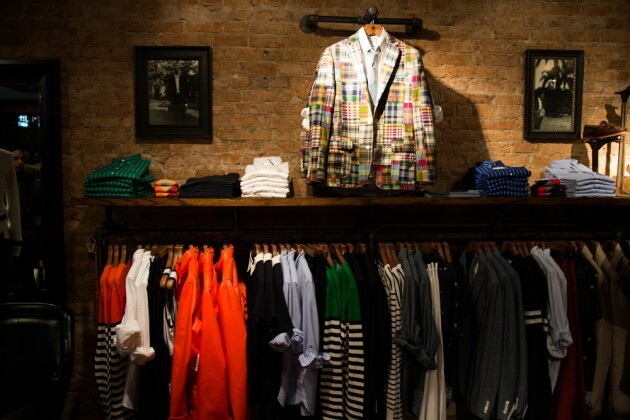 Dan Pearlman has worked for the Marc O’Polo fashion label since 2011, and for Campus, the label’s young fashion brand, since 2008. During this time, the team of interior and product designers has acquired an in-depth understanding of the brand, its products and needs. 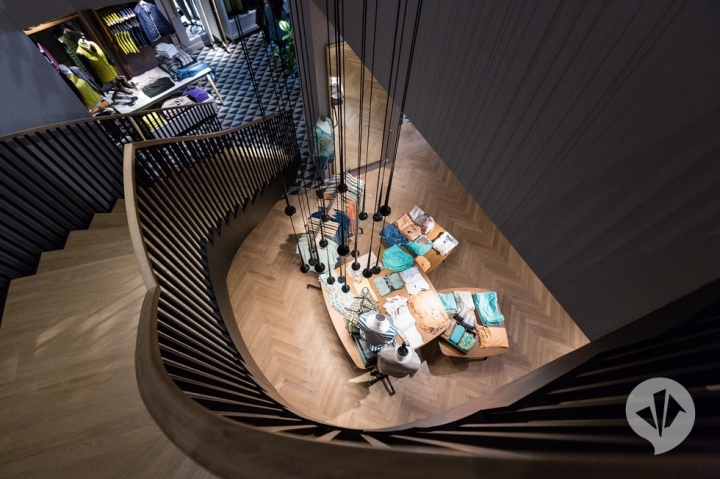 Those involved in the project put this expertise to very good use in realizing the latest Berlin flagship store, whose successful completion was a result of a close partnership with Knoblauch’s shop builders. How can good taste be combined with good conscience? 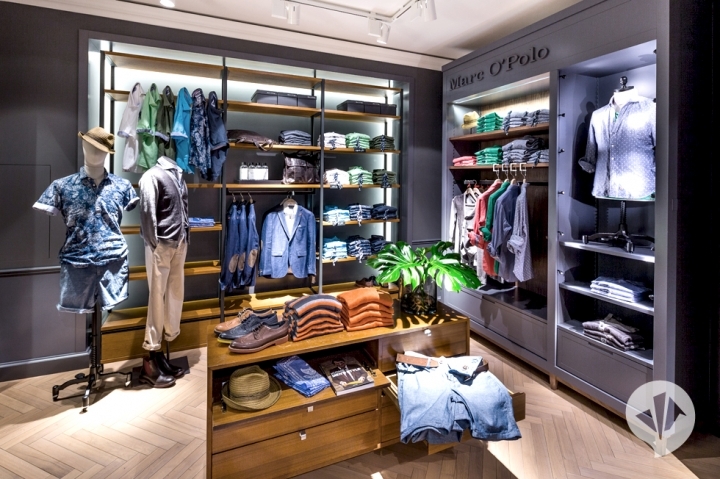 For starters, the German Sustainability Council-certified store gives Marc O’Polo customers in Berlin an impression of what happens when a company takes its social and ecological responsibilities seriously. Created here is a place that meets the GSC’s demanding list of criteria, implemented for the very first time in the retail realm. 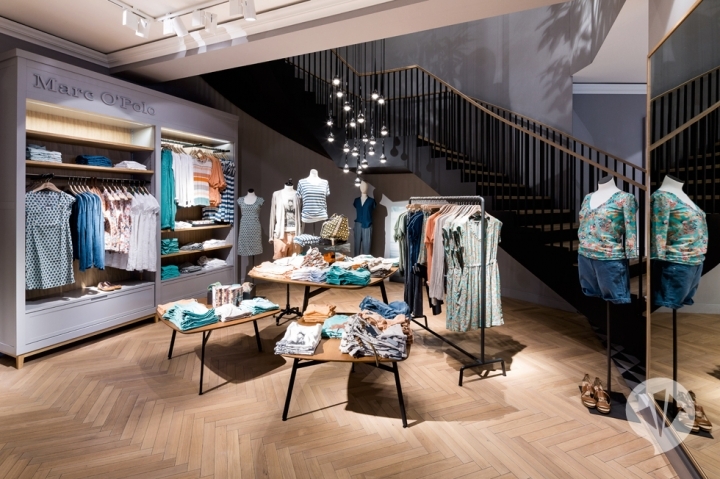 The Berlin store shows that the new shop concept can also be smoothly transferred to complex floor plans and that it intrinsically reflects the basic principles of sustainability. In order to safeguard the environment, recyclable and renewal materials are used instead of plastic. 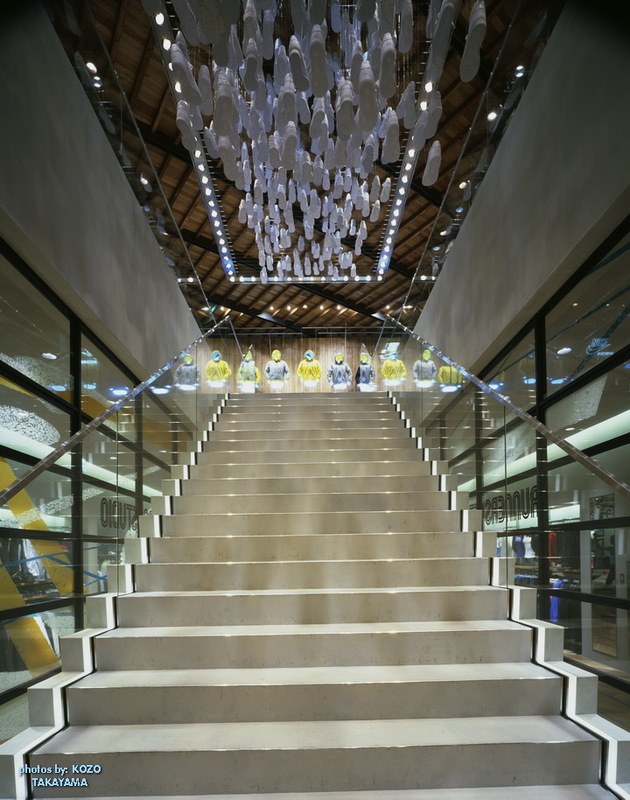 Sustainable wall paints and special energy, lighting and restoration concepts were also developed for the two-storey store. Social considerations are also highly prized and extend to co-workers and customers. 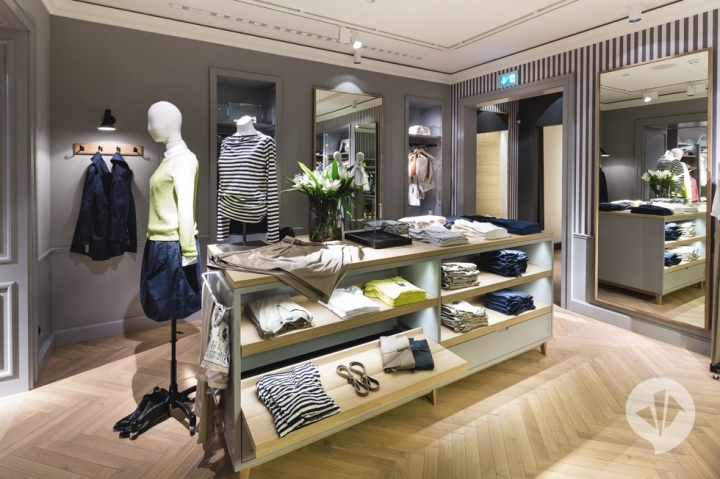 The store layout compares to that of a classic, modern apartment and visitors have unrestricted access throughout—made possible by a doorbell at the entrance to the store, an elevator system and spaciously designed hallways. Various furniture items offer places to rest, while a special washroom for customers featuring a baby’s changing table offers additional comfort. But customers aren’t the only ones who are supposed to feel at ease, co-workers should as well. 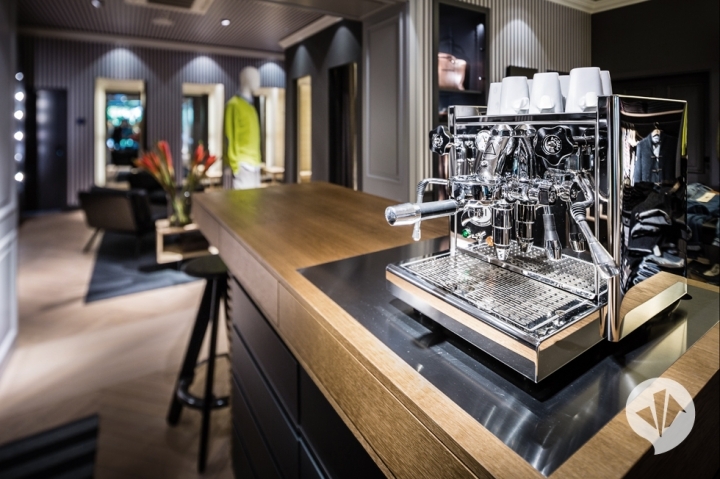 A kitchenette on the first floor, flooded in daylight, as well as plenty of space in both the stockroom and orders processing room have a positive effect on the work atmosphere. 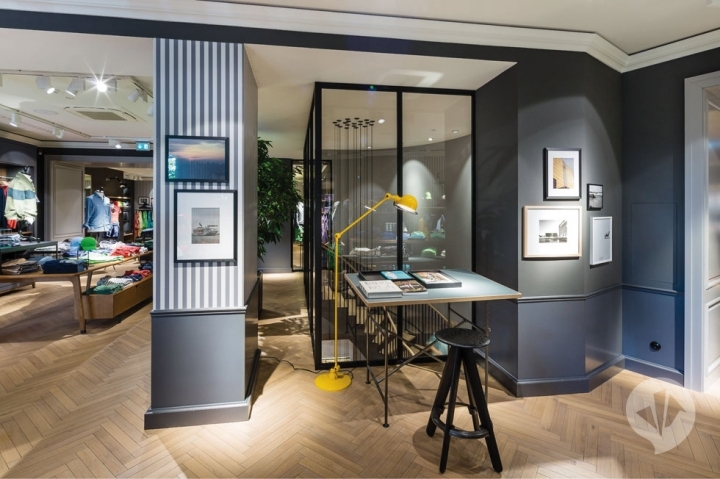 The oversized panoramic window adds to the store’s energy efficiency and offers the best view of Berlin’s Kurfürstendamm. Already now it is certain, that the certificate will be at least silver. 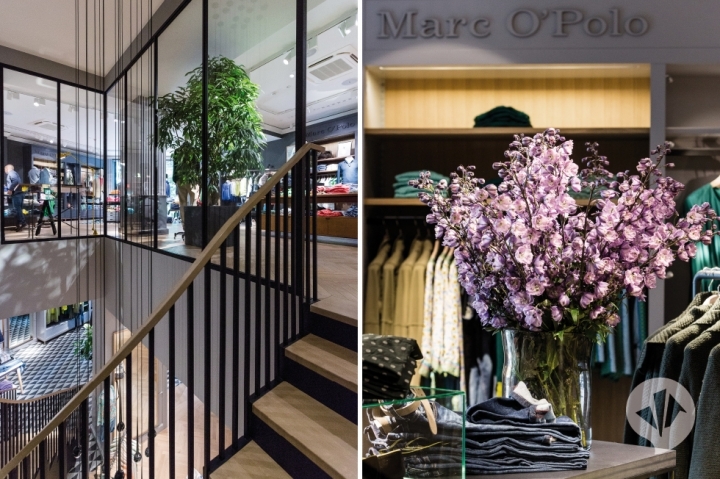 Like the five participating retail-companies, Marc O’Polo places a particular importance on sustainability and is honoured to be awarded for its effort in this field.